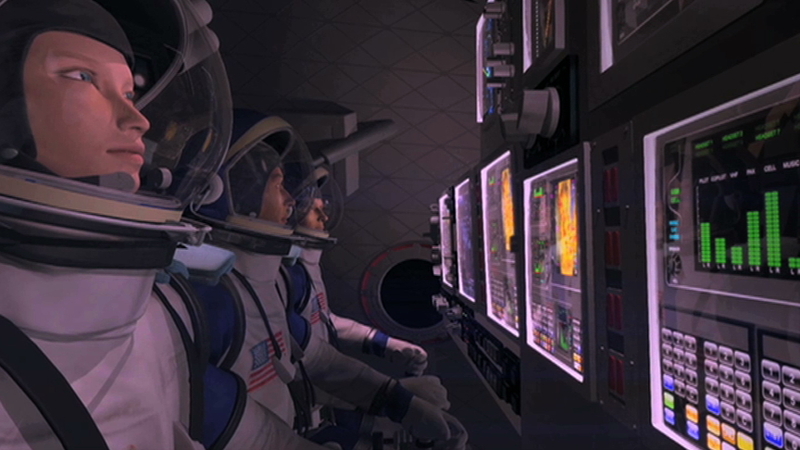 Rendition of astroanuts aboard SpaceX’s Dragon crew capsule (Credits: SpaceX). HAWTHORNE, Calif. — NASA partner Space Exploration Technologies (SpaceX) has completed an important design review of the crewed version of its Dragon spacecraft. The concept baseline review presented NASA with the primary and secondary design elements of its Dragon capsule designed to carry astronauts into low Earth orbit, including the International Space Station. “The successful conclusion of the concept baseline review places SpaceX exactly where we want to be — ready to move on to the next phase and on target to fly people into space aboard Dragon by the middle of the decade,” said SpaceX CEO and Chief Designer Elon Musk. All of NASA’s industry partners, including SpaceX, continue to meet their established milestones in developing commercial crew transportation capabilities under CCDev2.